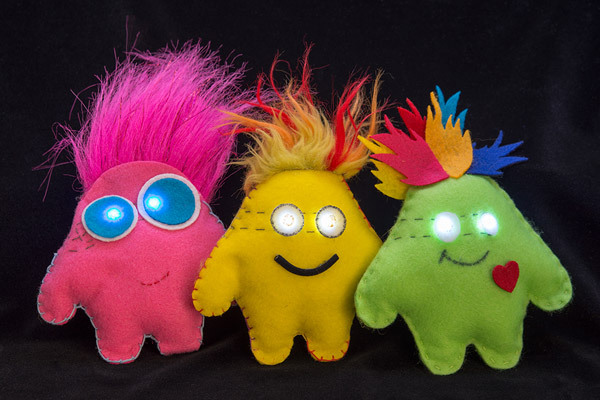 Create and customize a plush creature with light-up eyes using sewable electronics. Using a pre-programmed LilyPad LilyTiny board you will be able to choose from four light patterns: heartbeat, blink, twinkle, and fade to craft a unique electronic creature. The workshop will cover using conductive thread to connect electronics together directly on felt. Materials donated by SparkFun. Registration required, for ages 10-adult and ages 8 & 9 with adult helper. Previous hand sewing experience recommended.